Here&apos;s a yummy milk drink that&apos;s not only super cool and double delicious, but it&apos;s extra good for you too. It contains NO sugar, NO artificial flavours, NO artificial colours and NO preservatives, so you can drink as much as you want without Mum having a meltdown! 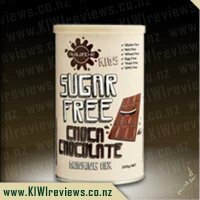 I was lucky enough for my family to try this sugar free choca chocolate. 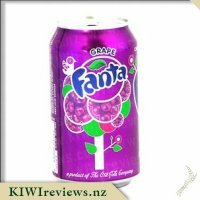 I personally love flavoured milk but do not like giving it to my son as I am aware of how high in sugar it is, so was keen to try one that stated that it was sugar free. 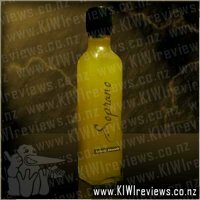 At first I thought that it would just be a non sweet drink however was surprised to see that it is sweet and this is because it has used Stevia extract to sweeten it. I love how it mixes so well with milk (if shaken there is no floaties). I am only using half the recommended amount added to cold milk for my 3 yr old son. He loves it and thinks it is so special. The chocolate flavour is chocolate rather than more a baking cocoa flavour that some flavoured milks can sometimes have. Even the bit left in the bottom of the glass is tasty. To be honest I eat a lot of chocolate and lollies. I don&apos;t smoke, don&apos;t do drugs - but, my weakness is definitIy junk food and I am concerned with how much sugar intake I do. 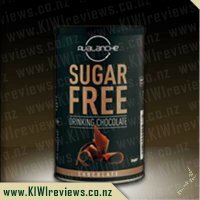 When I heard about the Avalanche Sugar Free range I thought I had died and gone to heaven. Milkshakes with no sugar too good to be true. The tin is so easy to open, fantastic tag that you just pull away much easier then a lot of the competition out there and the cap just goes back on and you don&apos;t need to fight the can either. The instructions say 1 - 2 heaped tablespoons of Avalanche Sugar Free Choca Chocolate Drinking Mix with 200ml of cold milk. When I made my girls this for the first time, I basically used half of the tin, so did not think it was great value. Then I found it was very grainy and could not break it down, both girls unfortunate were not a fan as tasted like mouthfuls of Cocoa, seriously tasted like you were eating plan cocoa with a little milk - yuck! The second time I tried 1 teaspoon which was much nicer and not as rich but again it was still too grainy. My husband suggested pouring boiling water on it to help dissolve some before adding the milk which we tried. Because it was being dissolved, was a little concerned would loose the chocolate taste so used one heaped tablespoon and although it helped, the cocoa flavour was again to much. It tasted really nice going down but then had the after taste of cocoa. I have since perfected the taste 1 teaspoon dissolve in boiling water than add the milk. It tastes great, most of the grains have gone and still have my chocolate taste. Also means I will not use tin in a couple of nights and left feeling healthy. 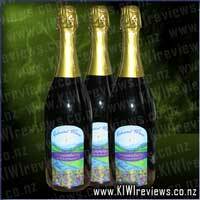 We love the Avalanche range for the pure fact its Gluten free and states it. My daughter (5) use to love milo and when told she had coeliac disease at age 23 months that was in milo was off the cards so had to go and look for something else. 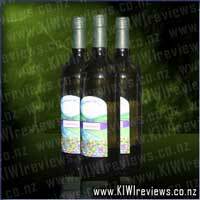 We used another brand until we found that Avalanche had different flavours like the marshmellow flavour. 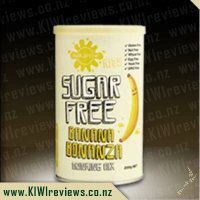 When KIWIreviews was getting samples of the kids sugar free versions I had to give it a go something with less sugar would be good even though my kids don&apos;t get a lot of that anyway. So we got sent the Choca Chocolate, following the directions on the container 200mls of cold milk to two heaped tablespoons. 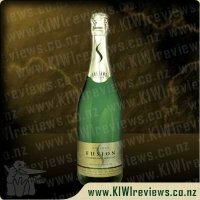 This was very bitter and myself and daughter couldn&apos;t drink it at all, we tipped it out and tried again. This time we added only two teaspoons to a bit more than 200mls of cold milk, this tasted a lot better but left a taste in my mouth that I didn&apos;t like, my daughter spat it out. So I put it in the microwave for 40 seconds to heat up the milk and this was more drinkable and were happy to drink this. Because this is for my daughter it was best I tried it with her to know what it tasted like aswell, she asked the next morning for her special chocolate drink but wanted it made with hot water and milk so I did just this. 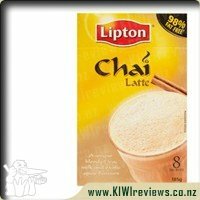 I had a quick taste and not too bad, using 2 teaspoons half hot water and half milk it didn&apos;t taste too bad at all, very drinkable. My daughter drunk it and then asked for another. Because its Sugar free I was happy for her to have another, with our other brand I would normally say no, one is enough. The price for this I wouldn&apos;t class bad since its about the same as most products on the market. I do love that its gluten free and when made to your tasting pretty good, its a trial and error being sugar free it has a bitter taste but a lot like that and some don&apos;t so playing around with the way you like it is the best way to do it. I have always had a weakness for flavoured milk and it was a huge treat for us to by a bottle from the milkman when I was a kid. (Now that is revealing my age a bit.) Sometimes we would have some chocolate drinking mix that we could add to our milk but Mum always rationed it because of cost as well as our health. I thought that was unfair but now as a mother and someone that battles with my weight I can understand why she did that. I was delighted to see that Avalanche have made a sugar free chocolate drinking mix. I know there are diet drinking chocolates out there in the shops but they next seen to dissolve nicely in cold milk. That is not a problem we found with this Avalanche on. I have mixed it with a spoon and I have also done it in our shaker. The former makes a smooth drink and the latter a nice frothy one. 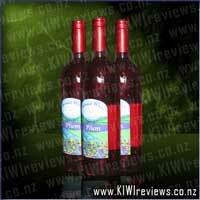 This drink was a hit with the whole family. I made it up at the weaker end of the suggested strength to be more frugal and it gave a nice subtle colour and flavour. 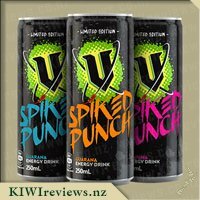 When I looked at the drinking mix the look and the smell reminded me of instant pudding. With a little help from my friend Google I found a recipe for homemade instant pudding that I could adapt to make using the drinking mix. It only required two more ingredients milk and cornflour. This required heating the milk and drinking mix and I was pleased to discover that the drinking mix coped well with heat. Once it had cooled I served the pudding up with tinned peaches. It was popular with the whole family although I felt it wasn&apos;t quite sweet enough. This was also more economical and healthier than using packet instant pudding. I know many people (adults and children will be pleased to see that this product is not only natural but free from many of the ingredients that cause allergies. I am just happy that it will be better for our waistline and teeth than similar products on the market. I am happy for my girls to have this (or one of the other flavours) on a regular basis. 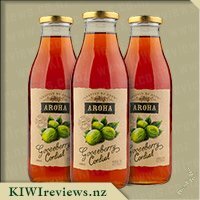 It is more expensive than the less healthy milk flavourings but it is one product I will be stocking up on when I see it on special. 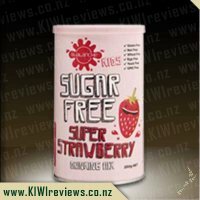 We were lucky enough to get to try this sugar free kid&apos;s chocolate drink powder in the latest round of review goodies. Firstly I just wanted to touch on the packaging. The tin is very cute, and I found it easy to tear open the top to get into the powder. This was awesome because I am pretty weak and often have to get a knife out otherwise. One small negative on the font used though. My husband tonight offered to make me a hot drink and reached for this packet. He was quite confused as to why we had onion chocolate flavoured drink. And when I look at that way Choca is written it does indeed look a like like onion. Aside from that, the taste is good. My children have both been having this all week and have been dancing for refills (Miss 2) or just begging (both of them). So it is very appealing for them. My eldest gets a spoon and eats the remaining undissolved powder in the bottom of her glass. I have done this myself when I tried it and it was a yummy extra treat. I&apos;ve had this hot and cold, but I definitely enjoyed it best cold. I think hot, it tastes like cocoa, which is not bad but just not stunning. 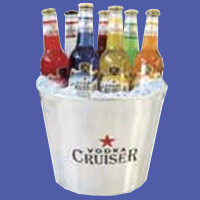 When it is served cold, the taste is sweeter and just more enjoyable. Lastly tonight I thought I would do something a bit different so I served it in an instant pudding. It mad for a very rich chocolatey pudding. However, neither of my kids were impressed and they refused to try more than a spoonful. I must say I was very sad when my husband and I got double helpings of the yummy pudding because they didn&apos;t want it. But who would let such a delicious treat go to waste. My husband asked if we could have it again, so trust me when I say it was delicious and my kids are just instant pudding adverse. 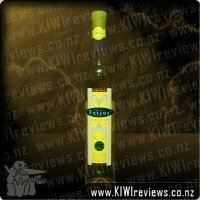 Feijoa 'n Honey Liqueur - We make our Liqueur with organic Manuka honey which adds a full and very versatile element to this smooth and warming Liqueur. Fantastic over any dessert or drink.